Amy Brandt serves as Docutech’s president and CEO, leveraging her more than 20 years of experience as a highly accomplished entrepreneur and senior executive to drive continued growth and innovation within the company. As president and CEO, she leads all aspects of daily operations, including sales, customer support and product development. 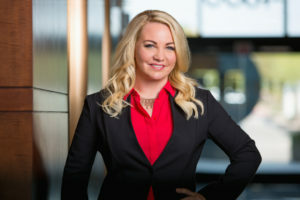 Throughout her experience within the mortgage, software, technology, aerospace and financial services industries, Amy has held a variety of roles, including president of originations and corporate technology for New Penn Financial, chief operating officer for Prospect Mortgage and president and CEO of Vantium. In addition to her executive career, she currently serves as a board member of the Sun to Water Technologies and a Scholar Rescue Fund board member with the Institute of International Education. Amy earned a J.D. from Arizona State University College of Law and a Bachelor of Arts in political science from the University of Southern California.